King of the Mountains - Are you tough enough? 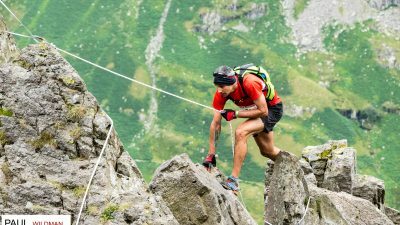 Its a real head messer at this stage in the game to offer an uphill and downhill prizes for the fastest Male and Female up and down Red Screes. Roughly 50km into the race you get the chance to re-fuel and then run full pelt to the top of Red Screes! Its a lung bursting 300m ascent up steep grassy and gullied terrain. The record is held by Thomas Paris from France, sponsored by Raidlight, who ran extremely well last year to place 5th overall and took the KOM Uphill race in a time of 00:18:54. The conditions were dry underfoot and slightly warm, but a good day for running in the fells. 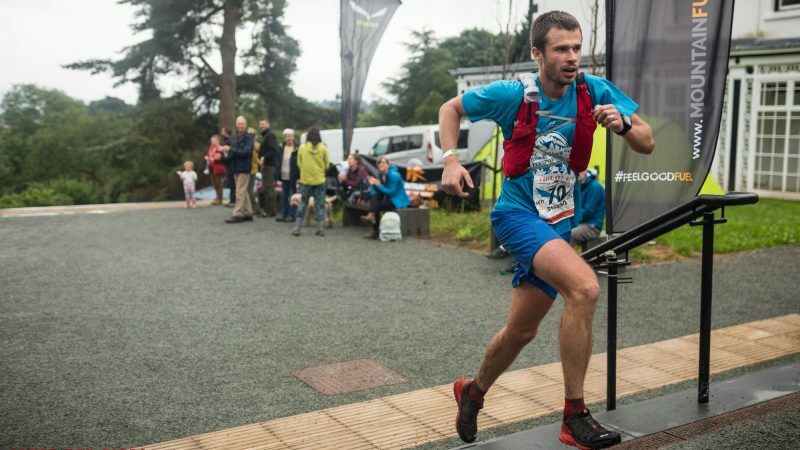 This year Adam Jackson obviously had his eye's on the Red Screes summit and a swanky pair of Leki Micro Trail Pro's and burst his lungs and legs in really tough conditions to take the win in a super fast time of 00:19:36, only 42 seconds behind Thomas Paris' time from last year! In the Men's Downhill KOM the record is held by last years record holder, Donnie Campbell, sponsored by Salomon, setting a great time of 00:24:57. 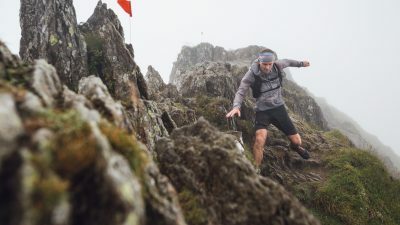 This year the top places battles for the fastest descent and David Finch took the win in muddy conditions in a time of 00:28:58, showing the speed of Donnie's descending power after 51km of ultra tough running. Andrew Berry, the Men's Open winner for this year placed 3rd in the KOM Descent from Red Screes to the finish. The Ladies record is held bySarah Ridgway of Run Snowdonia who set a fantastic ladies record of 00:19:24, placing 3rd overall in last years KOM ascent to Red Screes. This year Natasha Fellows pushed as hard as she could to take the win in a time of 00:27:12 and placed 19th overall. The Ladies record for the downhill KOM is also held by Sarah Ridgway, who was on fire last year, placing 2nd overall in a fantastic time of 00:26:57. 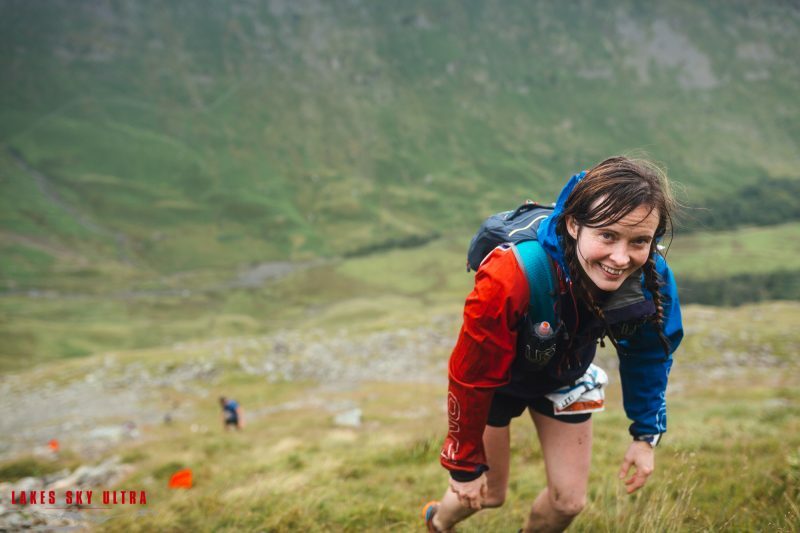 This year in ultra muddy conditions, Cat Slater took the win in a time of 00:36:59, placing 22nd overall. Cat also won the Ladies Open Race.